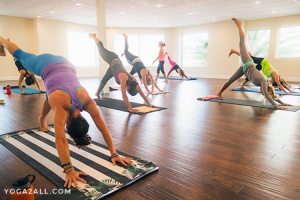 What Is Wild Thing Yoga Pose And What Are Its Benefits? If you want to include something new into your yoga practice you can try for Wild Thing Yoga Pose. This yoga is very popular in the entire yoga style. You can try your hand at the Wild thing Yoga Pose or Camatkarasana. It encourages you to grow your roots into the earth and also as you stretch your back, this yoga pose offer your heart as a present to the heavens. Whether you want to try this yoga, you should make sure that there is sufficient room around you. You should start the Wild Thing Yoga Pose by performing the Downward facing dog or Adho Mukha Svanasana. Start practicing Wild thing yoga pose slowly transferring your weight onto your right hand and onto the outer part of your right foot as if you are performing the Side plank pose or Vasisthasana. When you are breathing in, allow your hips to be lifted as if filled with buoyancy. Your right hand needs to stay strong with your fingers making a claw. The head of the bone of your right arm should be kept back. Now when you are breathing out, move your left foot on the back side and place your toes on the ground with your knee slightly bent very gently. Now curl your upper back portion so that your shoulder blades make a sweeping action to the back part of your ribs. When you are breathing in, lift your hips higher untill you are curled into a backbend and your right foot is stable on the ground. When you start breathing, your head should be dropped back and your left arm need to be extended from your heart expressing your freedom and power, which is very important in this pose. Stay in this yoga position for at least 6 to 10 breaths and repeat the wild thing yoga pose for the other side. You should not practice Wild thing yoga pose if you suffer from high blood pressure, headaches and or migraine, hernia or heart attack. Whether you have shoulder weakness or weakness in wrist, then try to avoid this Wild thing yoga pose. 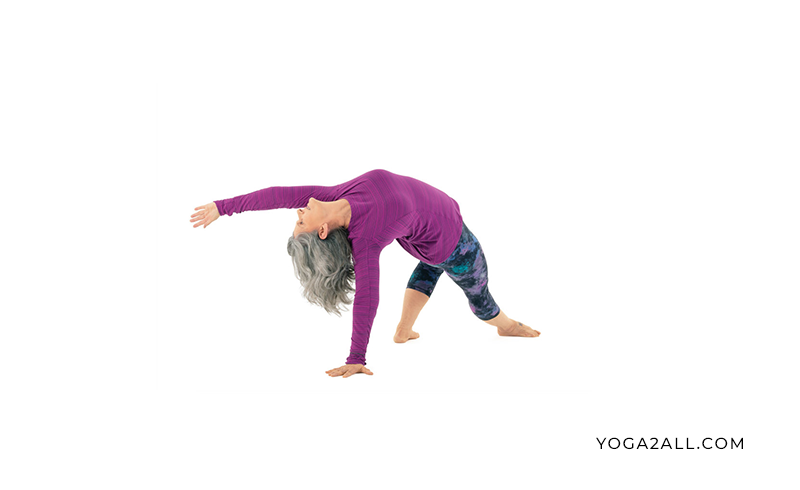 The Wild thing yoga pose opens up the shoulders, lungs, and chest. This yoga pose also opens the hip flexors and the front of the legs.Builds strength in your upper back and shoulders. It is also helpful to improve the circulation of your blood to the organs. It is also effective for the treatment of mild depression.